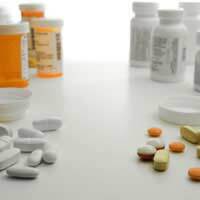 With a seemingly endless array of drugs on the market today, the principles of drug therapy still have not changed much in the simplistic sense that drugs must reach and impact their target to be successful. Many drugs work as inhibitors, where they stop the actions of a specific protein. DNA is a key target for the delivery of drugs because of it interfering with how genes are expressed and how proteins are created. In addition, the replication process for DNA can be affected as well, which is important for cell growth as well as a cell's ability to successfully divide. How Do Drugs Bind to DNA? There are actually a few ways that drugs can bind to DNA and one key way is by controlling special enzymes and factors involved in transcription. Here, the drugs target proteins that bind to the DNA. Another way involves molecules that bind to the double helix parts of DNA and interfere with the interactions between DNA and proteins. One type of target are telomerase inhibitors and this is an area related to cancer treatment. Telomeres are at chromosome ends and they protect the ends from damage and help to make sure DNA replication occurs as intended. In somatic cells, the life span has an 'end date.' A tumour cell, on the other hand, keeps its telomere ends stable, so that the tumour cell can continue to survive. This, of course, presents a predicament for treatment but telomerase inhibitors have addressed this dilemma for researchers. Telomerase inhibitors work to halt the action of an enzyme known as reverse transcriptase telomerase. This particular enzyme is what helps tumour cells keep the telomere ends stable, so stopping its action can direct the tumour cell to begin apoptosis, which is a term that refers to programmed cell death. In the last several years, research has also focused on how drugs targeting DNA proteins can actually attach themselves to the DNA. It was around the 1960s that researchers identified three separate classes of drugs that have different mechanisms for attaching to DNA. New studies have now shown a fourth mechanism, which shows enormous promise for drugs used in treatments such as cancer. The researchers are based in the United Kingdom and have created a mechanism for binding in the middle of a multi-way junction found in the DNA. In some diseases, multi-way junctions are created when the DNA double-helix areas fuse together. The discovery is exciting because it provides a new and successful way to address the challenges in drug binding to targets. While there are still numerous drugs on the market to treat cancer via DNA, they are not nearly as focused as this current mechanism. They also carry many uncomfortable side effects, which means the discovery of an effective way to target DNA without bothersome side effects is important. The resistance that can occur from drugs also means that it is important for researchers to consistently be developing new ways to treat disease. Fortunately, this new discovery addresses such challenges. Drugs will continue to be developed to target DNA proteins. Their discovery requires thorough animal and human testing to ensure that a specific protein's role in disease is well validated and that the drug acts accordingly to inhibit the protein's action. Our increasing knowledge of DNA and its role in the body can hopefully provide more successful treatments that target disease and help those who suffer from the devastating effects.